A Closer Look at Our Featured 2017 Summer Kitchen Design – Design Your Lifestyle. At Design Your Lifestyle, we’re proud to feature an outstanding kitchen or bath design for each season. 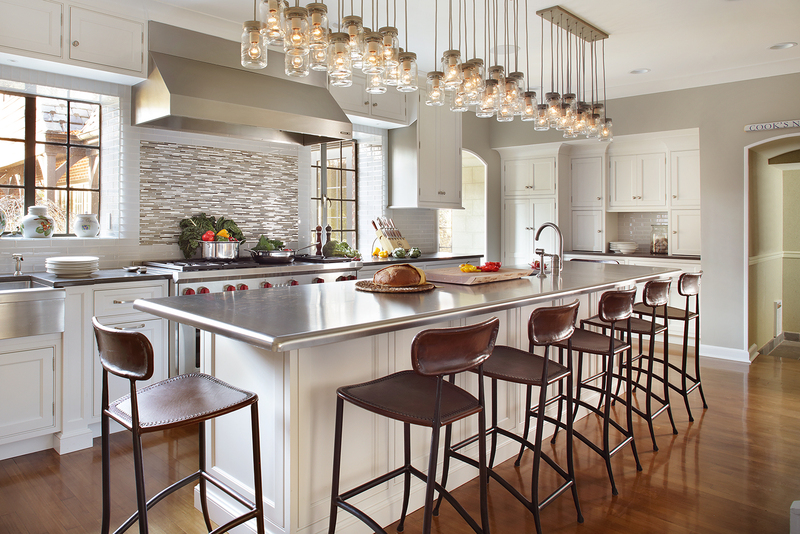 Our Summer 2017 featured design (in the header of our page) is a gorgeous transitional kitchen design by Peter Salerno Inc. – the most award-winning North American custom kitchen and bath design of the 21st century. 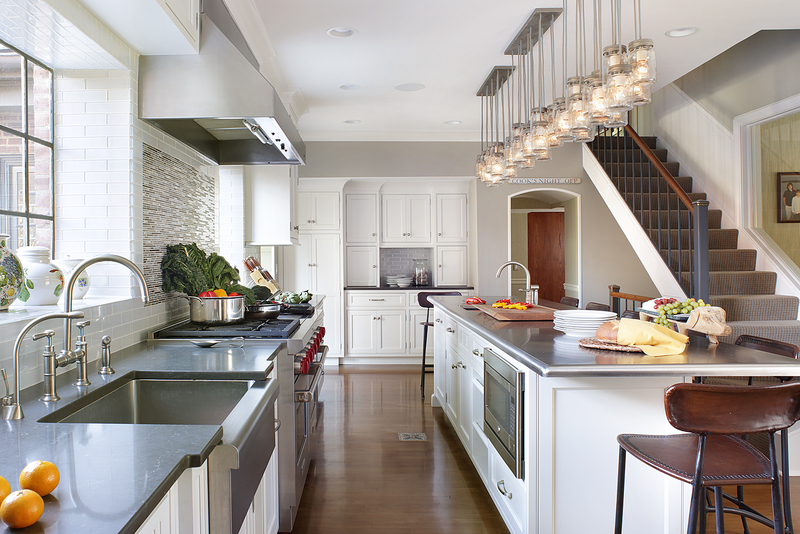 “Farm Meets City Sleek” is a lustrous transitional kitchen that manages to combine rustic charm with uptown chic. One’s first glance at this transitional kitchen design is bathed in white and ambient light, a nod to the recent kitchen design trend where whites and neutrals are used as the primary focus of the overall color design scheme. From the custom Maestro Rosolino cabinetry (a trademark of Peter Salerno Inc. design) to the kitchen island base, this kitchen is adorned with white. Notes of gray and neutral complement the design, through the custom range hood and counter to the island countertop and wood flooring. One of our favorite aspects of this kitchen design is the the 2×8 mixed metal and glass mosaic backsplash over the range, created by the team at Stratta, the Tile Boutique. 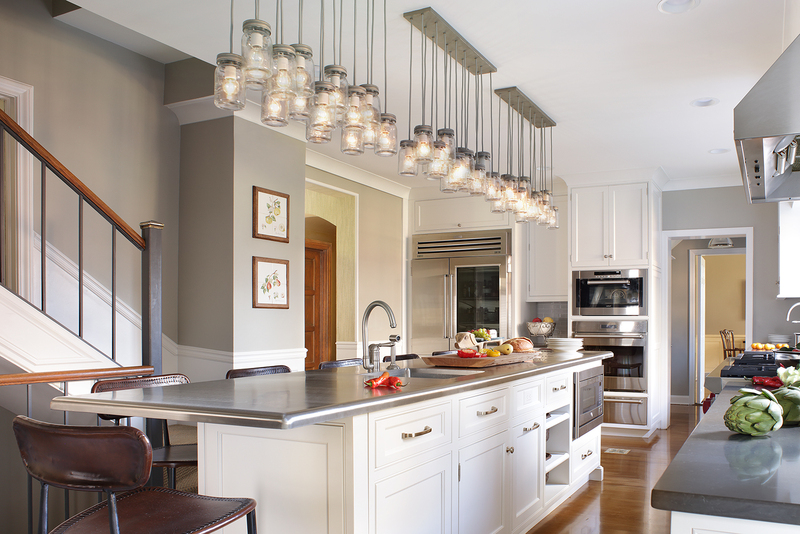 Here are some specific details about this gorgeous transitional kitchen design. NOTE: All photography featured in this article is courtesy of Peter Rymwid, on behalf of the team at Peter Salerno Inc.